Dear Francy; My dad refuses to eat anything but fruit loop cereal every day. I know this is not enough for him, what can I do? 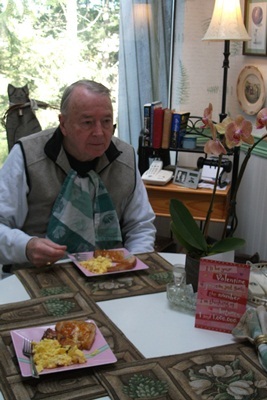 Many seniors get into a daily eating pattern. Cereal is a common easy repeat, so is toast, care givers have to learn how to tweek it so the daily habit is healthy. First, do not try to remove their favorite food. Just make a change in a slow way. Almond milk can be added to the diet in place of regular cow’s milk. Many older seniors grew up with milk and simply love it. They want it at each of their meals, but many seniors find that milk starts to be a problem with their medications, or causing a build-up of mucus. Adding almond milk to the mix is a great way to move them into a different direction. If you have not tried Vanilla Almond Milk…do it! 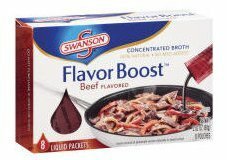 It has a great flavor that is low in carbs and really a wonderful addition to the shut-in diet. My mother got into Pillsbury, Toaster Strudels. She wanted them for every meal. So what do you do? I said that she could have them for breakfast every other day. She was fine with that. I also gave her strudels, if she was feeling unwell, as a comfort food. She was in her late nineties when I cared for her, so to me, her wishes and likes were always honored. At the same time, I had to make sure she had more protein in her diet. I would put protein drinks or powder in everything I made for her. 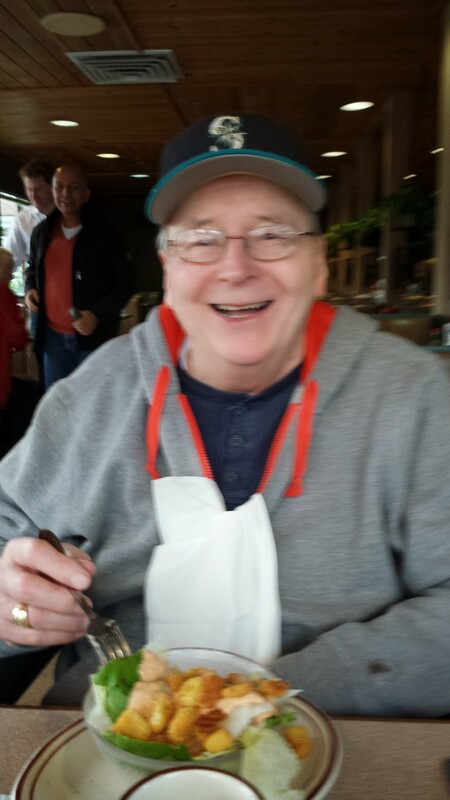 My husband George (who is now fighting Alzheimer’s) loves his bagels with apple butter topping. So, once again, I allow him the bagel, but only twice a week. That way I can get his protein breakfasts in the door and keep his sugar levels on a study stream. **Alzheimer’s and Dementia patients need to keep a higher sugar level to help their emotions. Just the opposite of the diabetes senior that needs to watch their in-take of sugar and of carbs. NOTE: Carbs, like breads and such, change into sugar as the body absorbs them. I will use your senior’s favorite as Breakfast A – It does not matter what it is…it’s going to be on our list as B-A: or substatute with a Fruit smoothie for a change of pace. Hot cereal – with 2tsp of brown sugar or honey in the cooking water/ Sprinkle the –top with flax flakes or Metamucil powder – top it with Vanilla almond milk, or vanilla protein shake. –>This means the hot cereal is packed with the daily needs of a senior for their bowel functions. Then it is adding in a boost of protein with a topping of the almond or protein milk. If the senior needs to watch their sugar in-take use a sugar substitute. –>Some Seniors really like oatmeal, others like cream of wheat, then you have the troops that like their regular cereal mixed with hot milk. You judge and serve what feels right and adds nutrients. –>Adding in 2 tbp of protein drink or Vanilla almond milk, sprinkle in the flax flakes or Metamucil power, salt n pepper with a drop of Tabasco Sauce. Mix this with a blender, or a whip and really make it fluffy. Pour into your preheated pan (Pam spray if needed) and either stir for scrambled or let heat through for an omelet. Serve with a great flavored yogurt. –>Ok so this is a great way to get more into eggs, then just eggs. 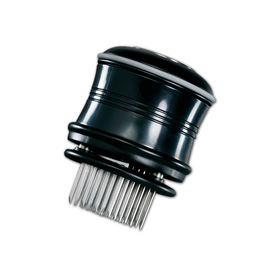 You can always use your Eggbeaters (or egg whites) with this just make sure you whip it so it’s foamy. This makes great eggs and you have everything in the mix to add the bulk and the sugar and the drop of Tabasco…why? Seniors lose their ability to taste. It makes eating so bland and so boring they start to pull away from their food. You do NOT want to add to much spice, it can really upset a stomach…but just a drop (and I mean a tiny drop) will just add to the taste along with the salt and pepper. The yogurt will calm down any heat that it causes in the tummy and add even more protein and helpful things for the intestines. I know I keep harping on bowels. But just trust me; when you are older and in trouble with your health, your bowels go wacky. You need to help seniors keep steady and adding daily Metamucil helps. If their problems are in the opposite direction, you can add a stool softener to their daily morning pills. Saturday Breakfast: Protein from the refrigerator. This is a Danish treat, an open-face sandwich served for breakfast with different things on top from the left-overs in your refrigerator. This makes for a change of pace and perks the senior up to see what is on the sandwich. –>What you want to make sure is that the only bread you buy for a senior is loaded with brans, whole-wheat, seeds and such. It makes great sandwiches and good toast. Take one piece of bread and toast it. –>Then you will use something to spread on the top. It could be cream cheese, (I like the soft kind with flavors that you can buy in a tub and lasts longer than the brick.) yogurt, apple sauce or apple butter. It’s now time to sprinkle your bran, flax or Metamucil over the spread. –>Look in the fridge and pull out bits and pieces. Chicken or meats from last night’s dinner are perfect. Paper-thin cut the meat and layer it on the toast that you covered with cream cheese. Add a sprinkle of sliced tomato or cooked veggies from the dinner. Sprinkle it with Mrs.Dash to give it more of a kick and serve. You can serve it as it is, or put it back into the toaster oven and toast the top for a minute or two…either way, its Yummy! You might want to serve it with V-8 juice; now available in veggie and fruit mixes. Sunday Breakfast: You have more time today; let’s make it a day for pancakes for the whole family. –>You can make a larger batch for the gang. If you are cooking just for your senior, make the batch and then layer the unused cooked pancakes with wax paper and place in a freezer bag. That way you can reach in the freezer and get a couple of pancakes anytime the senior is in need of a calming meal. –>The only difference with these pancakes would be instead of using the water to mix into the pancake pre-mixture — you add in your protein drink with the same measurement. If the senior is the only one eating the cakes, go ahead and add in the bran, flax or Metamucil in the batter. Cook them like you normally do, the only difference will be that you added more protein to the batter, it will not show in the taste. –>I like to serve these with fruits and a dollop of yogurt on top. It is so easy to buy frozen berries in the market. They last for ages and you can open them and use a ½ cup for a recipe anytime you like. Perfect to add to a smoothie or other toppings. Not to mention, the yogurt is not just a treat to eat in the whole cup, you can open it and use it, a dollop at a time, during the day in different ways which will sneak-in the added protein. Cooking for seniors in care is always a challenge. I try to keep in mind what the nutrition rules are and how I can make things taste good, yet, always add-in good nutrients to their meals. Simple foods? Yes. But, even everyday breakfast can make the day start with a mind that is healthy and food on a tummy that will absorb the many medications that your senior will have to take. As always, check those medications. You may find one has to be taken “before food” if it does, you want to take that pill to the senior with water as you wake them up or get them going in their morning toilet. 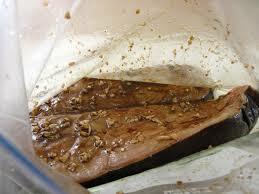 You can then go and prepare their meal while the medication dissolves into their system. Because everyone asks about food, recipes and meal ideas; I am going to try to add more tips in this direction and I have started to put ideas down for a care giving cookbook. In the meantime…good news, my care guides are almost out the door. They will be ready in March…yeah. New senior care book will be out in March - YEAH! That's mother "Toots" and me with loads of good ideas for care. A Talk with Francy; I have this picture in my mind of spouse care. I remember it from almost thirty years ago when my elder uncle cared for his wife with Parkinson’s. He had been a cared for man of leisure all his life because she had worked hard with her own interior design company in Seattle. She had worked long days all week, staying in a small apartment in the city. She would come home to Lakewood on the weekends to care for her husband who never worked a day of their 48 year marriage. She would take him to dinner, entertain with friends, leave him with a clean home, food for the week and bills paid. She worked into her mid- eighties when the Parkinson’s took her abilities away…she sold her business and came home. My uncle started to care for her in his own way. That way was not good. He was a man spoiled with his own life style and she was left alone most of the time. When you would visit, their home got messy, dirty and then horrid. Her care got lax and her food was awful. As she laid on the couch unable to move on her own, the room she was in was filled with trash. I worried about that the most; a woman who had filled her life with tranquil beauty was dying with trash everywhere she could see. I would bring dinner once a week and mother, in her mid eighties, would visit every month only to worry the rest of the month. We were unable to make changes, or move her to a care facility or do anything really. There were not the laws that we have now for seniors in care. So we just watched her care go down hill and wondered how my uncle could live his life in this manner. It wounded me and I have carried that frustration with me for all these years. After my mother passed and I was then free from giving her care – I turned around and found my own husband suffering from dementia. It is a story that millions of people face but when it happens to someone you love so much, it just sends chills down your spine. I am twenty years his junior and so at first I had a hard time telling the difference from him getting older and the dementia. But what I knew was the man that had given me a life of love and care, was not able to do most of things he had done in the past. So along with dealing with him, I had to change my own life and adjust to his needs. I remembered my uncle and vowed to give my husband solid good care. Being a care giving spouse is a very odd roll. Part of you is still in the mind set of husband or wife loving your spouse…the other part goes into a roll of care giving mom that has to learn new talents to keep your spouse as well and strong as you can. It is not easy and it gets extremely lonely. I suppose it’s the confusion that hits you with dementia. It not only consumes my husband’ mind, but it reflects off onto me. After a day of him asking my opinion over and over again, telling me he is going to do a task but never gets to the task- I often forget what he was suppose to do myself. Total confusion, spreads just like the flu. He will head out to the garage for a tool and stay there for half an hour. My worry buzzer will go off in my mind and I will go out to find him cleaning out the garbage can or sorting through the garden tools. He is off in his own world and nothing will bring him back. He is determined to accomplish some unknown task. So, I have to change his mind, I have to interject a new thought in his brain. “George would you come and help me I think the faucet is leaking and the water is going off everywhere?” Back he comes from the garage now re focused on a must do task. When he gets into the kitchen the faucet looks good and I say how good it is he fixed it. He will stand and look at it and wonder about it and I make him a cup of coffee or a sandwich and he moves on to that task. It’s a constant movement to keep him safe, calm and in a zone of happy thoughts. Once, I arrived back home to find my above stove microwave pulled apart and in a million pieces and my husband trying to fix it. I then had to step in and get him re settled with a new movie on TV…put the parts back as well as I can and then went to the store and bought a new microwave. The worry over him getting harmed or walking away while I’m gone is very strong. But as a working spouse care giver I have to try as hard as I can to keep him safe and still make a living. I often bring George along with me to keep him busy and even then I worry he will get too stressed to make it through a long meeting with a client. I had a session with a lawyer last week and George just melted in the office, we had to get him outside to walk around and sit him in the car for me to continue and sign papers that were needed. I drove him over to a restaurant and after eating and talking he returned to his calm self and I was able to drive the 25 minutes home without worry. Each day has its surprises. Some days are calm some are horrid. Some calm days can change in a second with anger and some awful days drive me to the edge. Where I have to take a deep breath and become creative to find a way to solve the current care giving problem. Problems can be solved, they just need the spouse to stay calm within and be creative about how to re focus or find where to ask for help. My nights are filled with worries and sleep often eludes me. But I try hard to take naps, take breaks with time to meditate and do a lot of deep breathing through out my days. I eat good food and I take supplements that I am more than convinced keep me stronger than not. I cook healthy food, not heat up frozen and I clean my home, but not with dedication. I talk to a select few that understand I need to vent and I need to laugh. I use my twitter group to release my tension and give to others to sooth my mind. I try to interact with George in a loving way even if I am on edge from an arguing session. I get him to waltz me around the living room, pour me a glass of wine, make my tea or rub my back so he remembers the pleasure of giving and caring for others. I have a good list of things for both of us to do each day…so we stay on a daily routine and I always tell myself that I’m a good and loving person even when I’m mad, as hell, at life. The part that bothers me is the 24/7. There are no days off…only hours away. There are no – lets take a break weekends away when George gets so confused in his own home, let alone a new place. There are no go and visit your kids or sister when he has to be watched and one slip might mean him getting lost or getting so upset he gets sick. I have no escape, no way out. So, I have to remove that from my mind. I have to give myself a feeling of escape. By reading or watching TV in another room. By working in the garden while he takes a nap. By going out to the grocery store and giving myself time at a coffee shop or the library to read magazines. I have to make sure that he has a friend visit so I can just take a nap or go for a walk. Maybe take him to an exercise place so I can just listen to music or a book on my MP3 player, in the car. His dementia/Alzheimer’s gets worse everyday…but in very slow and tiny ways. The doctor says he is progressing very slowly and that is good for George. But it is not good for me. I have to pay attention to his food and pills. I have to know when his episodes of anger and gait change are over the limit and we need to go to the doctor to get his meds changed. I have to make decisions for his regular health on a daily basis and it is a continual hardship to care that closely for another person. But I keep in my mind that I am giving a gift, not doing chores. I try to make his forgeting to take pills that I leave by his side at his TV chair- a joke and if they are not taken I remind him, tease him about it and watch him take them. There are loney times. When I want to just talk to him, as my best friend and tell him about my day or my thoughts for the future. I want to have help with the taxes and the financal problems we have, I want him to surround me with his arms and just hug the world away. I want our close friendship of over 30 years to be there for me when I am doing the hardest job I have ever done, but it isn’t – my friend is already gone. I now stand alone, I stand next to him – but I am alone. Others that come and visit us see us together still – but we are not, he is gone in little ways and the gap grows each day. I wish I could say, this story has a happy ending, but it does not. I am sitting in the living room typing while he is upset in the bedroom. Mad that he has to get up and dressed at almost three in the afternoon. I can be a difficult mom to him and he hates that part of our life. But what I know is that when they said through thick and thin when we married…I said those words and I meant those words and I am living those words with as much joy and love as I can each day. When the time comes that George is in a care facility I will continue to care for his daily needs in my own way…but just having him near is soothing to me. Someday, he will be gone and I will have all the time in world to do my nails and take lunch with my girl friends. Today, I choose to be next to him and I choose it day by day knowing that I make the choice to love and support him in my own way. I don’t believe in caring for another until you drop over yourself. That is pointless, every spouse has to make the decision as to what degree they can give and help their loved one. We are all so different, some can care a long time, others can not give hands on care for any time at all…no one is better than the next, it is just who we are. But what I know is that we have to talk and reach out to others for help. We have to not allow ourselves to be all alone and scared, we have to tend to our own needs. If we do not stay strong, our spouse will fall faster and harder. My tips from the heart? Eat, drink plenty of water, take good deep breaths, talk to your family and friends, kiss your spouse, argue with your mind not your mouth and laugh as much as you can. Joy is being a part of something and I suggest you join me on twitter, or any other support group in person or online. You get so many great ideas to help you through the care giving steps. 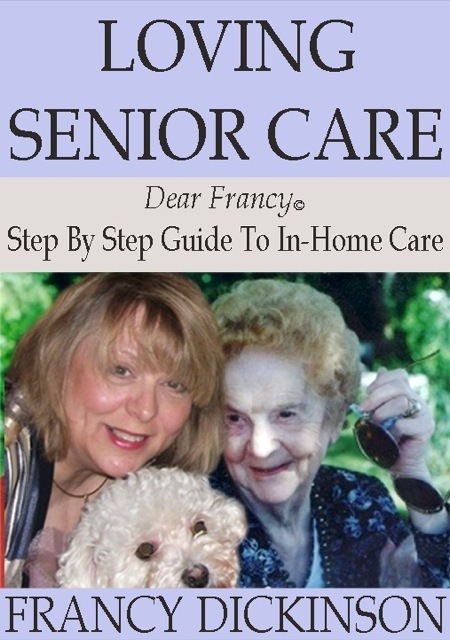 I have a workbook on my site that gives all the basics in home care giving, take a visit and look, I think it will help you. But most of all laugh as much as you can at the crazy things around you. Because when you stand back and look at your life it is a bit funny don’t you think? Dear Francy: I am just giving up on food for my dad. He get stuck on one thing and that is that, now it’s canned chili and I do not think he even heats it up. That is it – all he will eat. He has been on his own for a few years and he has refused to develop any cooking skills. Now he won’t even eat the dinners I make for him and deliver. Ideas? Yes, I had an Uncle just like your dad he was into baked beans for a few years with toast on the side, nothing else but milk. So know that this is really something that lots of seniors – that are on their own and tired of cooking – do. But how about giving him something that has more fibre and still has sweetness to it? I am talking about a Bran Muffin that you make in a very large batch and then freeze and you can take over a few at a time. Just take a few at a time, you do not want him eating more than a couple a day. ” I never bake!” You will now, this is very easy and does not require skills just a very large bowl and muffin pans. “Cream together”means that you start by mixing together the oil, molasses and the sugar until it is incorporated -you can do this in a food processor, with a hand beater or just with a large wooden spoon. My mother had this recipe for so many years. She and I made it and shared it with so many people. My hubby and mom both loved the muffins. My husband would grab one in the morning and take off to work. It was an easy and yummy treat and I think you might enjoy the fact that you make it and then it’s in such a large amount that you’re not baking every week. I have seen good bran muffins for sale in bakery counters for $4 a piece, so you will really enjoy the saving, plus, I have never tasted a bran muffin as rich and good as this recipe. You can substitute anything you like in this muffin, but it’s filled with fibre and good stuff and I think you will understand the sugar seems like a lot but the recipe makes a large batch. Raisins can be changed or added for other favorite dried fruit (my mother loved chopped dried apricots) so you can take this and get creative or stick to the basic batch. This is an easy recipe and I always use paper cupcake liners so you can get them out of the pan and freeze them with ease. Heat your oven to 375. Get a large bowl to mix the ingredients and use paper cupcake liners for your muffin tins. You will need at least two muffin tins and this will be repeated with additional batches or the mix will store in the refrigerator for 3 weeks. Your choice – take time to bake them up one evening and freeze or bake them as you need them for a fresh smell and warm treat. These heat in the microwave very fast and are just great for a quick out the door breakfast or snack. They will be a perfect meal substitute for a senior with a Boost type of drink. Pour boiling water over cereals and raisins- set aside to cool. Cream oil, molasses and sugar. Add the buttermilk and eggs. Add flour with baking soda and then add to oil – stir in the softened & cooled bran mixture. Bake at 375 for 20 minutes, cool on rack, eat warm, reheat in microwave, freeze muffins or the batter can be stored for 3 weeks in refrigerator. Yield: 6-8 dozen depending on how much you put into the muffin cups. I use just over 1/2 batter in each cup. These are heavy and do not puff up high. Please note if you want nuts chop them small and add in to the batter before you bake. There is always a way to get seniors off the dime and make changes, sometimes it takes more than a nice please and moves into creative interaction. But I know you can do it, don’t give up – he was a guy blessed with a long time marriage to a lady that cooked up a storm. He is still grieving that loss through his food. When you look at like that the behavior seems more understandable. Bet you’ll be just as stubborn when you get older and are on your own – like father, like daugher they say. How kind it is for you to take so much time to bring him great meals, that is a very loving act.